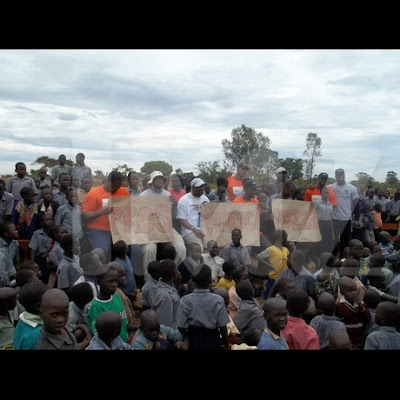 So, 10 NFL players went to Uganda this past week to spread some love over there. They dug wells for locals to get water, help to provide hearing aids for thousands of people, and heres my favorite part- they stopped by a nursery there to visit some little kiddos and babies! Can you imagine how larger than life these huge NFL players seemed to those kids. Or even what meeting them has planted in those kids' hearts?! I love it! So awesome to see these guys giving back like this!